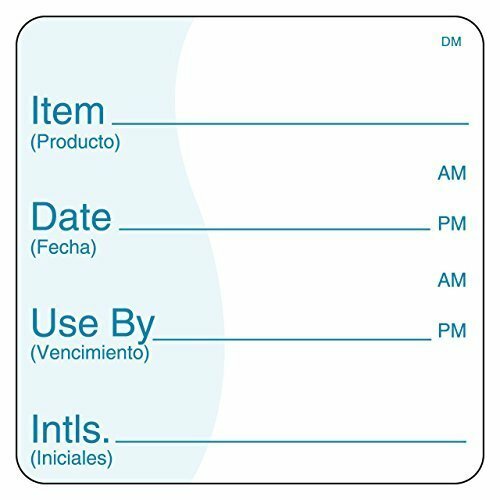 Write-On Magnetic Rack/Shelf Labels 6 x 2-10/Pk - Made in the USA! DayMark MoveMark Shelf Life Label has the space for recording critical food rotation information. The 2" x 3" MoveMark label has Detach-Tab Technology. The liner on the back of the label is scored, allowing part of the liner to remain on the label when applied to a surface. The benefit is to allow a small tab at the bottom of the label to remain unstuck that can be quickly lifted to remove the label. Removable labels are easily peeled off of dry containers before washing. The versatile MoveMark shelf life label and adhesive is FDA complaint for indirect food contact with a working temperature range of -40 to 160 F. The label is marked "MM" to avoid confusion. There are 500 labels per roll. Dispenser IT112443 or IT112116. The secret? These are made of cornstarch. 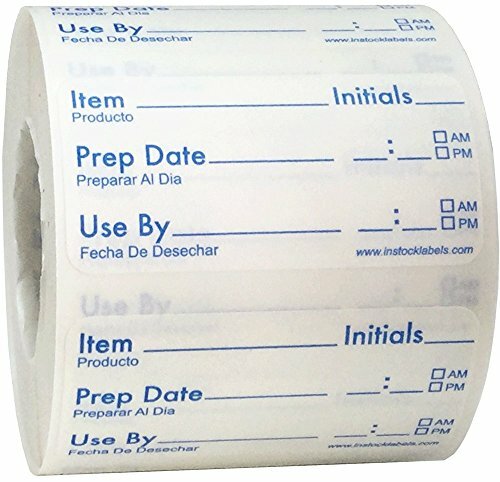 Simply write on these with a pen, pencil, or sharpie on the provided lines next to "Item", "Prep Date", and "Use By". There is even a place to write employees initials. The labels contain both English and Spanish. Check AM or PM and when you are all done and ready to move to the next sticker, no need to peel this one off; just rinse it off! The adhesive that we use is strong and will adhere very well to metal, plastic, and rubber bins. They can even hold up well in freezer storage. However, if these do get wet, they will start to dissolve. Make sure you are using them in a place where there is not too much water being used. These come in handy for all the kitchen staff and we are confident that when you try these out you will never go back to the labels you have to peel off. The size of these is a 1" x 2" inch rectangle shaped label. They have rounded corners which make them very easy to peel from the roll and apply by hand. Just do not try peeling these when your hands are wet. There are 500 of these dissolvable labels on each roll. As a little bonus, we place about 10-15 extra. This is because we do use a little white sticker to hold the roll together, which will take up at least one of the dissolvable labels. Again these are made with cornstarch and we use an eco-friendly blue ink for the print. This is important when dealing with dissolvable labels that have to do with food. We make these in-house right here in the U.S.A. We stock them on our shelves and have them ready to ship. We work with many restaurants, schools, hospitals, and other kitchens around the world. These labels are some of our most popular and they work great! Dissolvable: These food rotation labels are 100% dissolvable. Just place the bin in the dishwasher and this label dissolves and disappears completely. No mess or leftover residue to worry about. You are also able to run warm water over them and lightly scrub them off by hand. These will dissolve with no problem. Made of Cornstarch: These are eco-friendly and made of cornstarch and water-based inks. The dissolvable paper and inks will go down the drain with no problems at all. You are able to write on these easily using a pen, pencil, or sharpie marker. The back is a standard permanent adhesive that will adhere to almost any flat surface such as metal and plastic food bins. Writable: Just use a pen, pencil, or sharpie to write on these. The ink will disappear completely as the labels dissolve. Plus the blue ink we use is water-based and eco-friendly. You can write on the lines where they say Item, Prep Date, and Use By. These words are in English and in Spanish. There is even an area where employee initials can be written. Kitchen Approved: These dissolvable food rotation labels are made specifically with kitchens in mind. Our customers use them with a high rate of success in restaurants, food trucks, hotels, deli's, fast food, grocery stores, and c-stores. We place 500 of these on a roll. We do add extra to make up for the little sticker we use to hold the roll together. Made in the USA: We print these here in our facility in the United States. If you are not happy with these for any reason, let us know and we will make sure to correct the problem. We are sure you will find these will work well for you. They are a big hit at restaurant trade shows. The DayMark DuraMark Date Coder Permanent Label is designed for food service applications but may be used anywhere that a permanent label is required. The DuraMark labels are designed to fit DayMark's DM3 SpeedyMark Express 10 Marking Gun (sold separately). When loaded into the 1 line marker, DM3 labels can be printed with one line of information and quickly adhered to a product or package. The DuraMark label works best on containers or surfaces that don't require label removal or are being discarded after use. Moisture resistant and safe for the freezer, DuraMark labels are helpful labeling solutions for disposable containers, boxes, and portion bags. The Duramark labels are a tough, easy to read, labor-saving method for keeping your food rotated. DuraMark labels have a working temperature range of -40 to 160 F. Each roll has 1000 labels and a pack consists of 8 rolls. 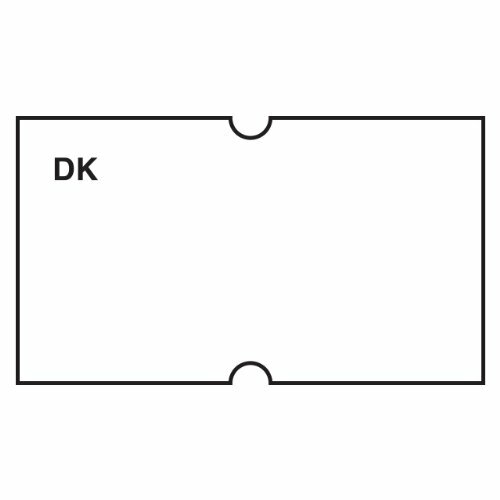 A small "DK" is printed on the label to identify it as a permanent adhesive. DayMark Safety Systems is located in Bowling Green, Ohio, and is a leader in personal, facility and food safety systems. Founded in 1989, DayMark specializes in products that assist restaurants and other food service establishments in complying with FDA and other compliance codes. DayMark Food Safety products are being used in food establishment locations in the United States and worldwide. DayMark MoveMark Blank Removable Label has the space for recording critical food rotation information. Blank labels allow users to record what they think is important . The versatile MoveMark blank label and adhesive is FDA complaint for indirect food contact with a working temperature range of -40 to 160 degrees F. The label may be applied, frozen, then peeled off when surface is back to room temperature. There are 1000 labels per roll. Dispenser IT110804 and IT112459. DayMark "USE FIRST" labels are brightly colored and easily seen from a distance to encourage proper food rotation. Removable adhesive allows the labels to be removed by peeling if desired. The label can be applied at room or cooler temperature, frozen, then removed when container returns to room temperature. FDA compliant for indirect food contact. Printed in English, French, and Spanish for multi-lingual kitchens. 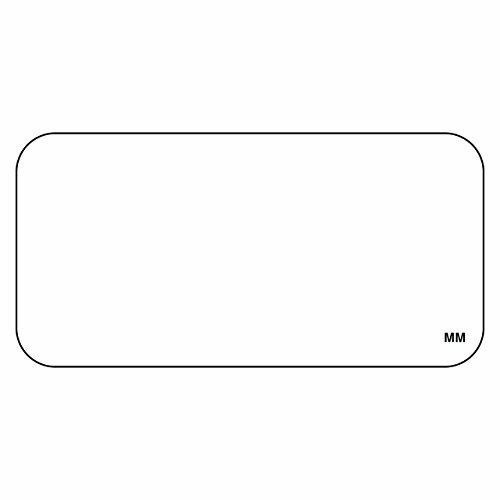 A small "MM" is printed on the label to eliminate adhesive confusion. There are 500 labels per roll. Make a custom label for any metal surface. 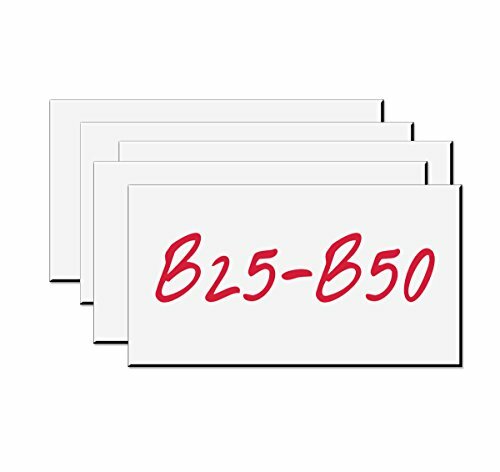 6" x 2" Write-On Magnetic Labels are ideal for identification on metal shelves or with use on magnetic white boards. Labels can be cut if a smaller size is needed. 10 Labels per pack. 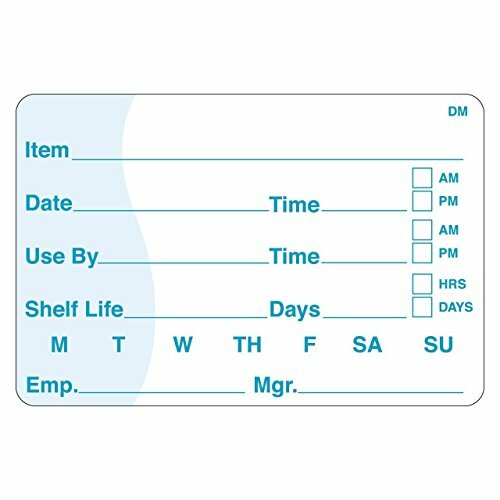 DayMark Shelf Life labels have space to record the important information used to ensure proper food rotation labeling. Label dissolves in any water temperature in less than 30 seconds with no adhesive residue. FDA-compliant for indirect food contact. Label is printed in English and Spanish for multi-lingual kitchens. DissolveMark shelf life labels are a safe labor-saving method of food labeling based on the easy removal by dishwasher. DissolveMark Labels have a working temperature range of -40 to 176 degree F. A small "DM" is printed on the label to eliminate confusion. Minimum application temperature is 21 degrees F. There are 250 labels per roll. Dispenser IT112443 or IT112116. The DayMark MoveMark day of the week trilingual label is round, removable, and suitable for labeling portion and prep containers in a food rotation system. The day of the week is printed at the top of the label in English, Spanish, and French for rotating food. DayMark day of the week labels are color-coded according to day for ready identification. The blank area can be used to note the container's contents. A Detach-Tab feature provides three levels of adhesion (1/4, 3/4, and full) for removing the label quickly at room temperature without leaving adhesive residue. This label measures 3" in diameter. It has a working temperature range of -40 to +160 degrees F and a minimum application temperature of +10 degrees F. The label is suitable for use in a commercial kitchen and meets U.S. Food and Drug Administration (FDA) standards for indirect food contact. DayMark Safety Systems manufactures labeling systems, food preparation equipment, and other safety products for the restaurant and food service industry. The company, founded in 1989, is headquartered in Bowling Green, OH. Use your chalkboard labels on mason jars, containers or anything you need to organized. 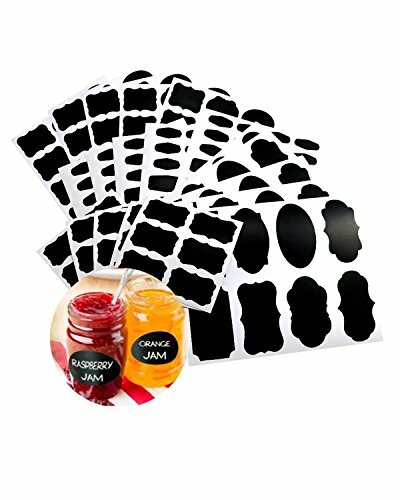 You can use this amazing chalkboard labels to mark table numbers at a party, organize your kitchen pantry, label important ingredients in your kitchen, they are the perfect stickers for jars. Use them to label jars in the kitchen, files in the office, kids' toys in the playroom, supplies in the bathroom, containers in the closet, bins in the attic - the uses are limited only by your creativity! Also be great as cup markers, on coasters, coffee mugs, glasses, candles, gifts, jar lids, bulletin board decal, garden equipment labels, organizing repair and garage tools and more! Reuseable - Wipe the sticker clean with damp cloth, peel, and re-stick. Use over and over again for different uses as your needs change. We provide a 100% money back guarantee. You love the stickers or we will buy them back, no questions asked. 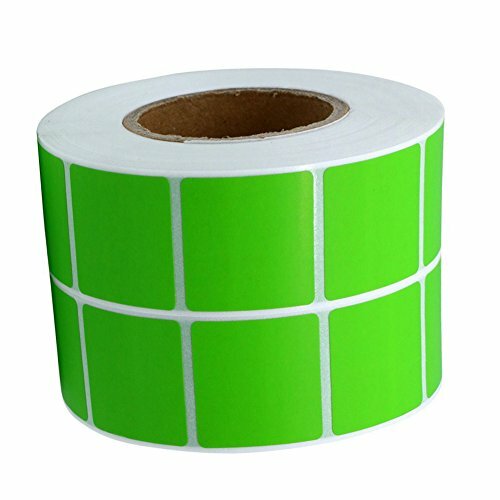 Standard Permanent Adhesive label sticker Easy Peel and Apply from Roll. Seal and writing leave message. Fluorescent Red Target Pasters are great for covering holes in your targets to extend their life and for vividly showing previous shots. 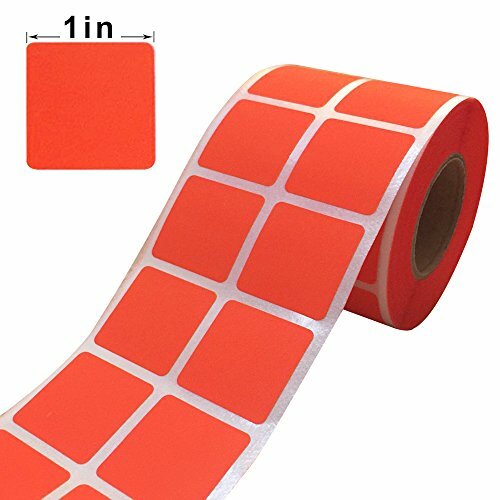 The Fluorescent Orange Red Color Square Stickers can be seen easily even in lower light situations. 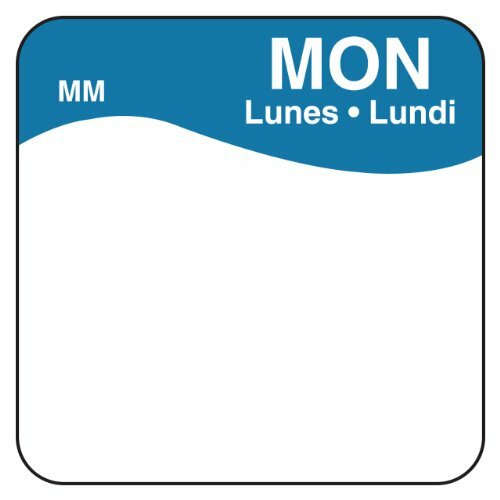 Write-On Magnetic Rack/Shelf Labels White 4 x 2/10/Pk - Made in The USA! Make a custom label for any magnetic surface. 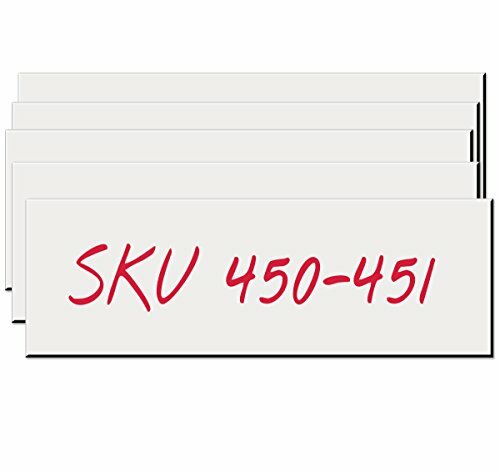 4" x 2" Write-On Magnetic Labels are ideal for identification on metal shelves or with use on magnetic white boards. Labels can be cut if a smaller size is needed. 10 Labels per pack. Can stick to magnetic whiteboards, bulletin boards or any magnetic surface. Safe to use in freezer, microwave oven, and dishwasher Identify the contents of your food containers with pre-printed kitchen labels. These labels will stay on in the freezer and the microwave and are removable after one dishwasher cycle. 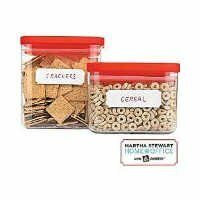 They're great for labeling plastic or glass food storage containers, freezer bags, or gift jars. Expand your color coding options with label's metallic gold adhesive dots. 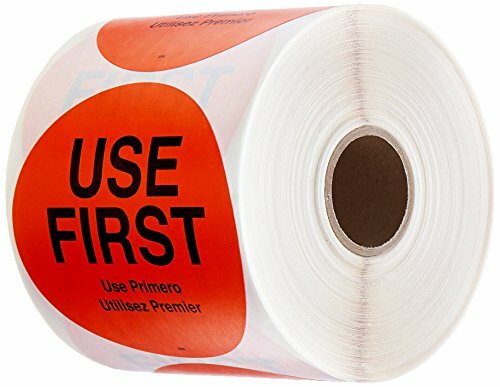 Each two-inch diameter label has permanent adhesive and is easy to write on with a felt tip marker or pen without the ink "bleeding" through the label. 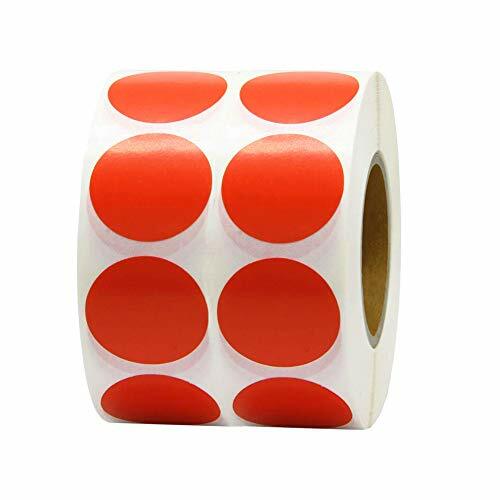 These self adhesive stickers ship (500 dots per roll). 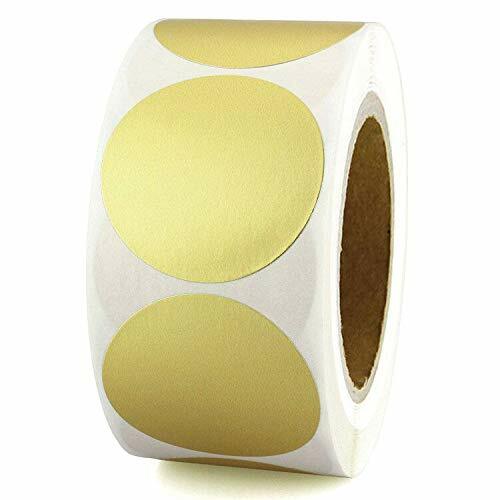 Each metallic gold dot has a semi-gloss finish and is suitable for virtually limitless applications: inventory, crafts, mailings, education and more! Great for envelope seals,packaging,bakery, crafts, party invitations or birthday thank you stationary. Even as wall decorations. The DayMark DissolveMark day of the week trilingual label is square, is suitable for labeling portion and prep containers in a food rotation system, and dissolves in water for quick removal. The day of the week is printed at the top of the label in English, Spanish, and French for rotating food. DayMark day of the week labels are color-coded according to day for ready identification. Fields can be used to note the name of the item, the use-by date, and other information. The label's adhesive backing affixes to a clean surface. The label dissolves when placed in water for at least 30 seconds and leaves no residue for quick label removal. This label measures 1 x 1 inch (H x W). (H is height, the vertical distance from lowest to highest point; W is width, the horizontal distance from left to right.) It has a working temperature range of -40 to +176 degrees F and a minimum application temperature of +21 degrees F. The label is suitable for use in a commercial kitchen and meets U.S. Food and Drug Administration (FDA) standards for indirect food contact. The DayMark DuraMark Date Coder Permanent Label is designed for food service applications but may be used anywhere that a permanent label is required. 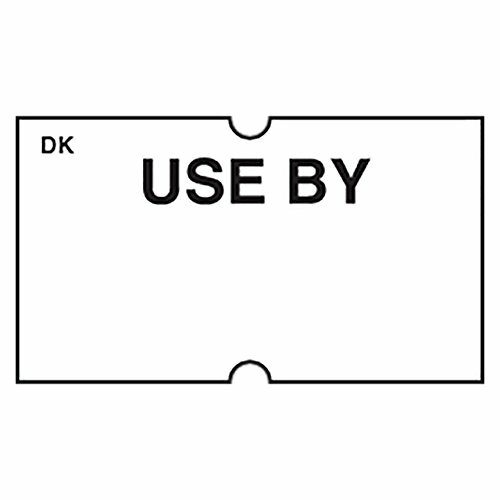 The Duramark labels are designed to fit DayMark's DM3 SpeedyMark Express 10 Marking Gun (sold separately). When loaded into the 1 line marker, DM3 labels can be printed with one line of information and quickly adhered to a product or package. The Duramark label works best on containers or surfaces that don't require label removal or are being discarded after use. Moisture resistant and safe for the freezer, DuraMark labels are helpful labeling solutions for disposable containers, boxes, and portion bags. The Duramark labels are a tough, easy to read, labor-saving method for keeping your food rotated. DuraMark labels have a working temperature range of -40 to 160 degree F. Each roll has 1000 labels and a pack consists of 8 rolls. A small D"K" is printed on the label to identify it as a permanent adhesive. DayMark Safety Systems is located in Bowling Green, Ohio, and is a leader in personal, facility and food safety systems. Founded in 1989, DayMark specializes in products that assist restaurants and other food service establishments in complying with FDA and other compliance codes. DayMark Food Safety products are being used in food establishment locations in the United States and worldwide. 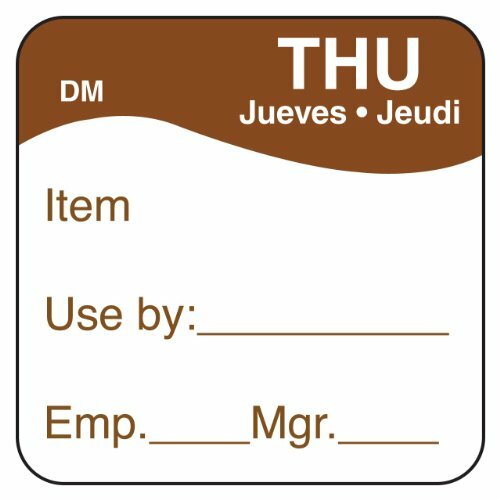 The DayMark MoveMark day of the week trilingual label is square, removable, and suitable for labeling portion and prep containers in a food rotation system. 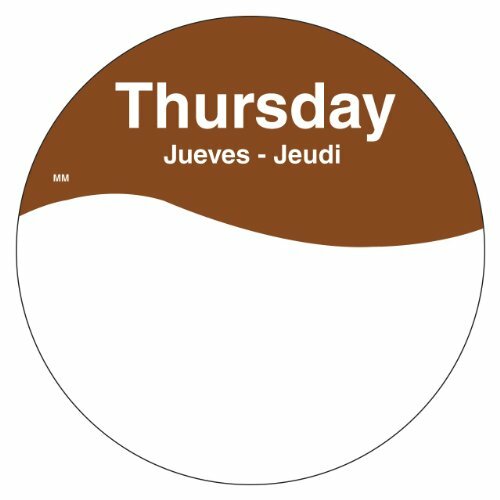 The day of the week is printed at the top of the label in English, Spanish, and French for rotating food. DayMark day of the week labels are color-coded according to day for ready identification. The blank area can be used to note the container's contents. A Detach-Tab feature provides three levels of adhesion (1/4, 3/4, and full) for removing the label quickly at room temperature without leaving adhesive residue. This label measures 1 x 1 inch (H x W). (H is height, the vertical distance from lowest to highest point; W is width, the horizontal distance from left to right.) It has a working temperature range of -40 to +160 degrees F and a minimum application temperature of +10 degrees F. The label is suitable for use in a commercial kitchen and meets U.S. Food and Drug Administration (FDA) standards for indirect food contact. DayMark Shelf Life labels have space to record the important information used to ensure proper food rotation labeling. Label dissolves in any water temperature in less than 30 seconds with no adhesive residue. FDA-compliant for indirect food contact. Label is printed in English. DissolveMark shelf life labels are a safe labor-saving method of food labeling based on easy removal by dishwasher. DissolveMark Labels have a working temperature range of -40 to 176 degree F. A small "DM" is printed on the label to eliminate confusion. Minimum application temperature is 21 degrees F. There are 250 labels per roll. Dispenser IT112443 or IT112116.